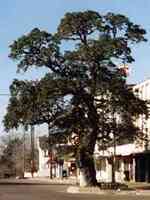 The Muster Oak in La Grange, Texas. 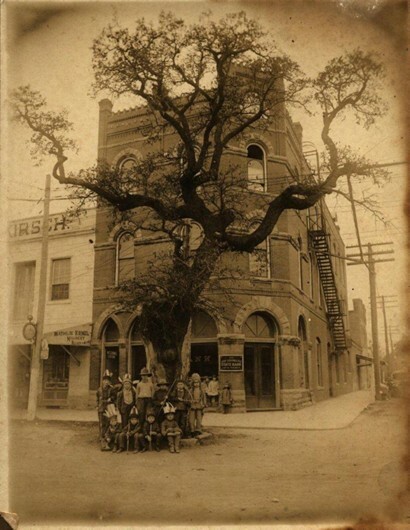 The Muster Oak is a "Famous Tree of Texas" (See Texas Historic Trees series) and is a rarity in that it is now in better health than in decades past. 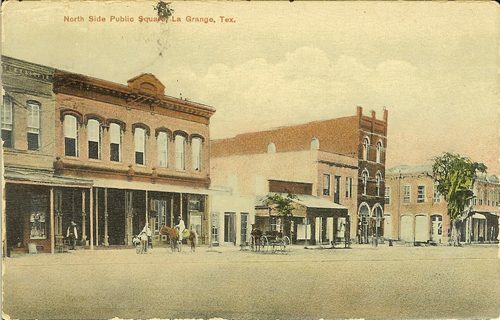 La Grange is a member of the "Tree in the Street Communities", including Cuero, Columbus, Goliad, Hallettsville and Uvalde. 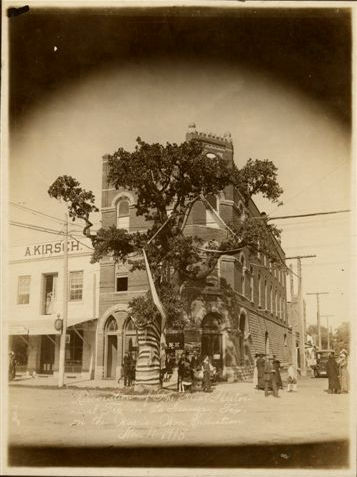 The Muster Oak is on the northeast corner of the courthouse square.